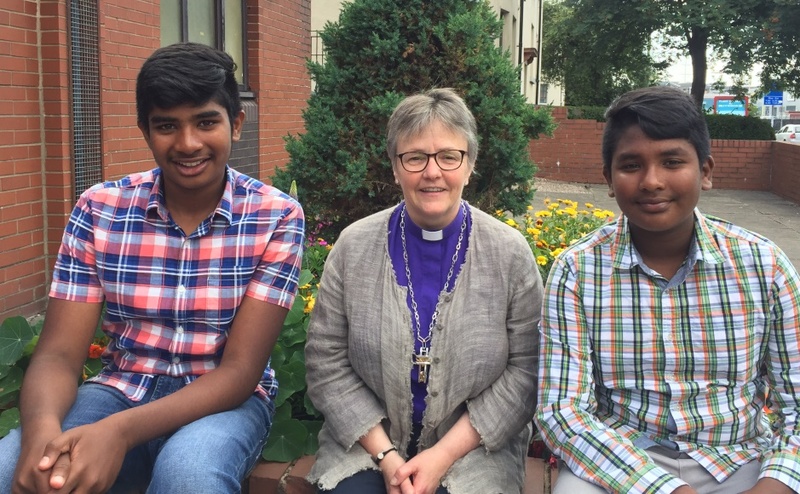 Church leaders have united to urge the Home Secretary to prevent the deportation of two teenage asylum seeker brothers from Scotland. They have signed a letter written by Rt Rev Susan Brown, Moderator of the General Assembly of the Church of Scotland, which calls on Sajid Javid to re-examine the Umeed Bakhsh family’s case. Backed by 13 former Moderators and six other leaders from Christian denominations, the letter expresses deep concern and implores the UK Government to recognise the danger that they would face if they are sent back to Pakistan. 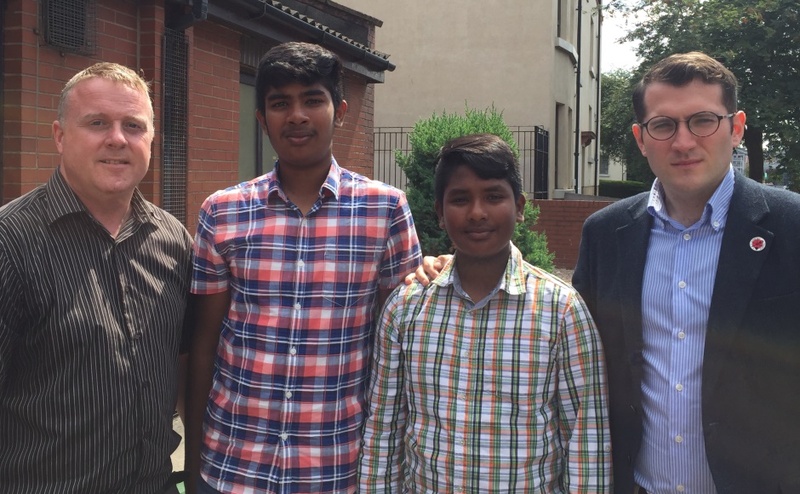 Somer, 15, Areeb, 13, and their parents, Maqsood and Parveen, fled to Glasgow in 2012 from Faisalabad in Pakistan after their father was subjected to death threats from Islamic extremists due to his Christian faith. 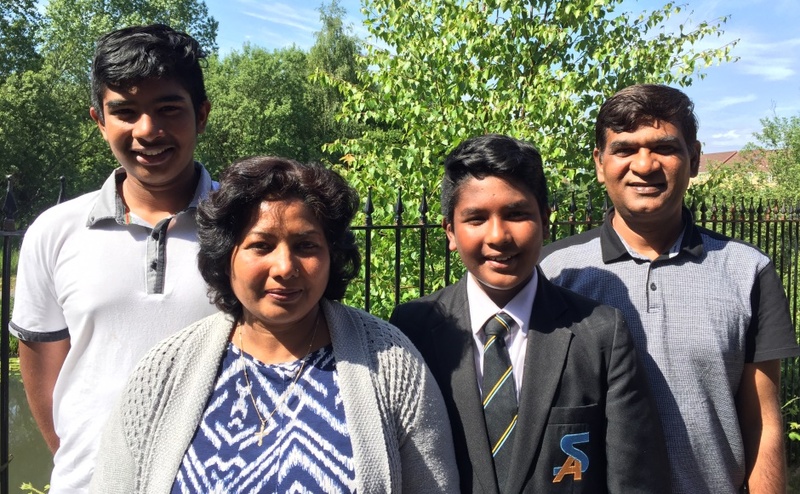 Mrs Brown, a Chaplain in Ordinary to the Queen, wrote: “We urge the UK Government to examine this case again and recognise the Pakistan-wide threat that the family faces. “We are even more concerned for the well-being of two young boys who have found a home in Scotland. “Somer and Areeb are flourishing and, despite the stresses the family is under and the conditions in which they live, deem Scotland their home. 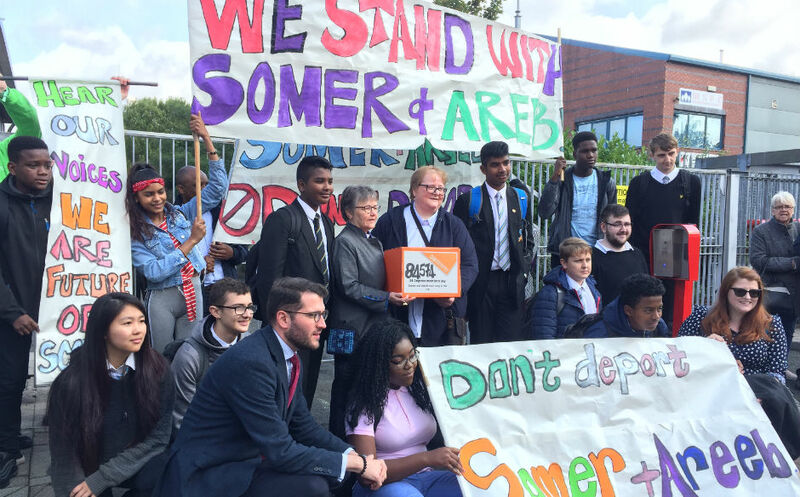 Mrs Brown said a separate online petition set up by pupils at the boy’s school, Springburn Academy in Glasgow, emphasises how much a part of the community they are. “They are a credit to Scotland, to our education system and along with their parents, have so much to offer our land,” she added. “Suffice to say, they are people who long to give – and they are people who have so much to offer. Mrs Brown said the Christian faith calls on its followers to take care of the stranger and the foreigner, especially the vulnerable. Signatories of the letter include the Most Rev Leo Cushley, Roman Catholic Archbishop of St Andrews and Edinburgh and the Most Rev Mark Strange, Primus of the Scottish Episcopal Church. 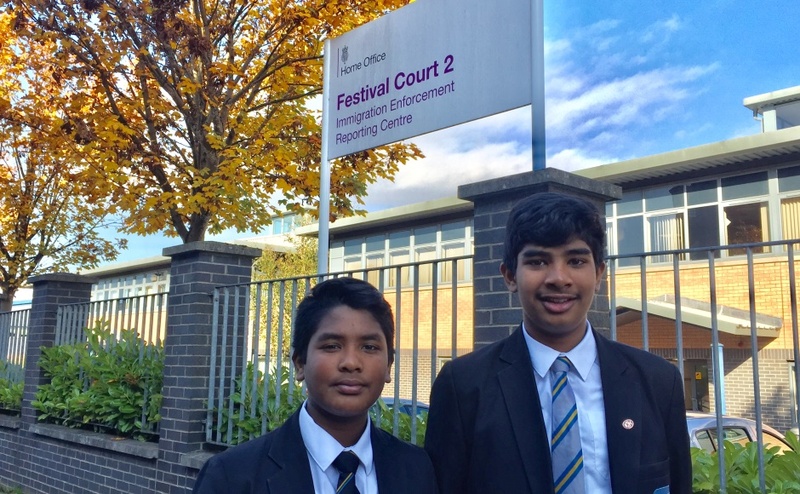 This year marks the Year of Young People in Scotland and First Minister Nicola Sturgeon has described Somer and Areeb, who were 9 and 7 when they came to Glasgow, as a “credit” to their community, school and the country. Labour leader Jeremy Corbyn said the “wonderful” family have so much to offer the UK and praised people who have signed the petition because it is time to put the word “human” back into decision making. The brothers fear they could be murdered by Islamic extremists if they are removed from their home in Glasgow and sent back to the country of their birth where blasphemy carries the death penalty. 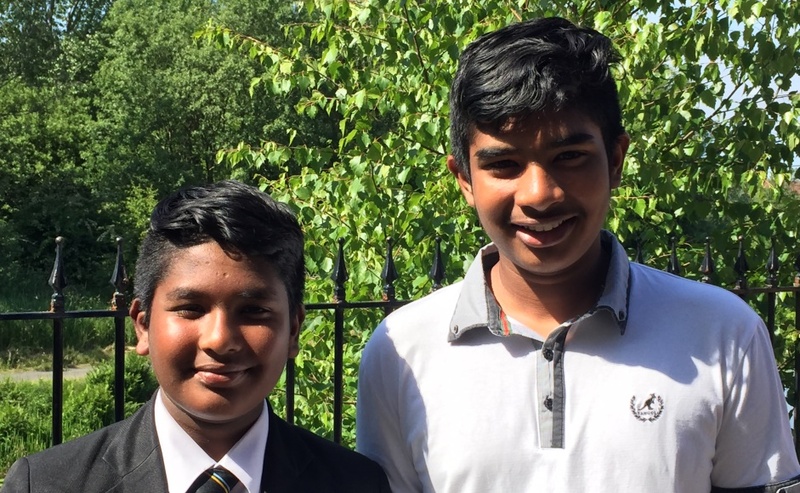 Somer, who is studying five Highers and hopes to be an astrophysicist when he is older, said: “I love Scotland and I do not want to go back to Pakistan. “The thought of it terrifies me and it is very stressful to even imagine going back there. “I wouldn’t have a future and I can’t even read or write Urdu. Areeb, who has a passion for art and astronomy, said: “I am so happy living in Scotland and I am scared to go back to Pakistan. “I am really afraid and I can’t imagine living a normal life there. The catalyst for the family’s move to Scotland was the murder of two Christians who were gunned down outside a court, while in police custody, in Faisalabad in July 2010. Pastor Rashid Emmanuel, 32, and Sajid, 24, were accused of writing a pamphlet critical of the Prophet Muhammad that flouted Pakistan’s controversial blasphemy law. Christians have been repeatedly targeted in a string of deadly terrorist attacks claimed by Islamic State in Iraq and the Levant in recent years. The men were good friends of Mr Bakhsh and he believes he is next and that Islamic extremists would not hesitate kill him and his family if they had the chance. The UK Government has repeatedly rejected the family’s plea for asylum, largely because officials do not believe they would be at risk if they moved to a different part of Pakistan. But Mr Bakhsh, who worked as a data analyst in Pakistan and holds two masters degrees, insists that once you are marked by extremists, nowhere is safe to live. 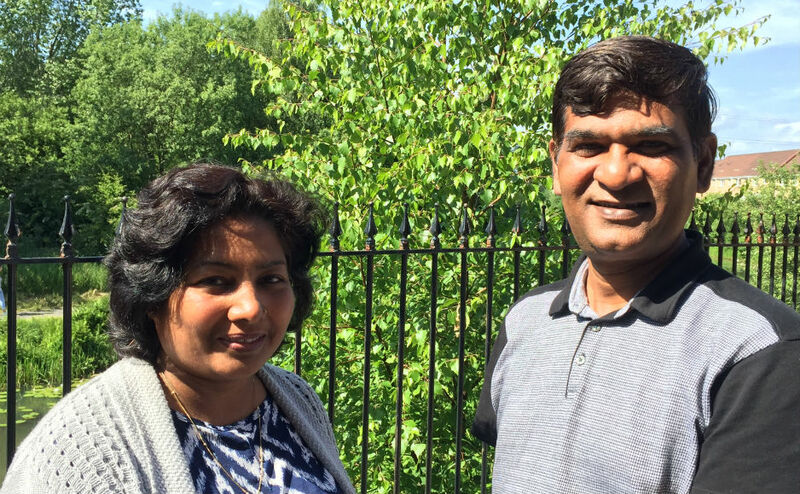 The 50-year-old and his wife, a trained neo-natal midwife with 17-years of experience, have been unable to work in Scotland and forced to survive on benefits and charity due to their immigration status. The family, who have been living in limbo for nearly seven years, are being supported by their minister, Rev Linda Pollock of Possilpark Parish Church in Glasgow. She said: “I hope that the Home Office will re-examine the family’s case, stop treating them as numbers and acknowledge them as human beings because they have so much to give to Scotland. Paul Sweeney, MP for Glasgow North East, and Bob Doris, MSP for Glasgow Maryhill and Springburn, have raised the family’s case in the House of Commons and Scottish Parliament respectively. L-R Bob Doris MP. Somer, Areeb and Paul Sweeney MP.